Alaska Tax Lady has several basic tax forms that you can download and print off for your own use. If you have problems or questions with any of these forms please feel free to call or stop by our office to see how we can assist you with your taxes. 1040 EZ: Simple tax form for single or married without dependents. The only types of income you can list on Form 1040EZ are wages, salaries, tips, taxable interest of $1,500 or less, unemployment compensation and Alaska permanent fund dividends. 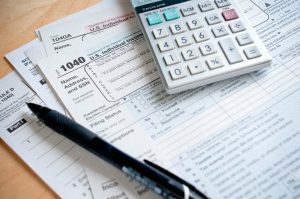 If you have income from sources other than these, such as stocks or dividends, then you will have to file your taxes on either Form 1040 or Form 1040A.